This past week, Disney homesickness hit me- oh, it hit me hard. Like, full-on belting "There's A Great Big Beautiful Tomorrow" in the shower hard. It was an ailment that could only be cured by full-on immersion into all things WDW. I'm talkin' area music loops, Disneybounding, and, most of all, hours-long expeditions into the vortex of my Disney Parks photo folders. And, what do you know- that last one gave me an idea! My hard drive is chock full of snapshots that I'd LOVE to share with you guys, but haven't yet had occasion to... that is, until now! 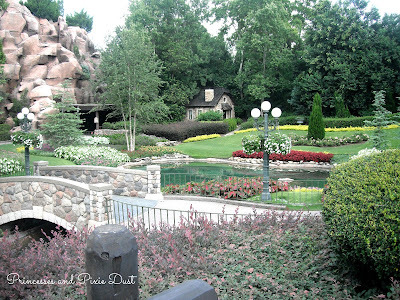 Every Sunday here on Princesses and Pixie Dust, I'll be sharing an image (or two) from my pile o' pictures! 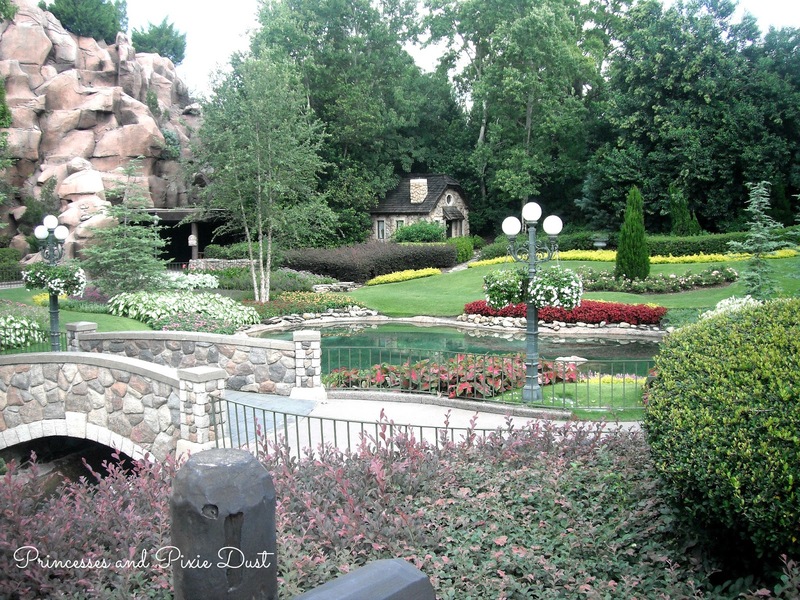 This week's photo, taken a little less than a month ago, comes to you from the beautiful gardens of Epcot's Canada Pavilion. Canada is one of the World Showcase Pavilions that I haven't had much of a chance to explore, but it's just so darn pretty! One of these days, I'll make a point of spending extra time there, but for now, I'm content to revel in the loveliness of the gardens, the totem poles, and the facade of Le Celier (goodness knows I won't be seeing the inside for a while!). I love the quaint quality of the gardens- and that little foot bridge is too adorable! Are you guys interested in seeing any more "Snapshot Sunday"s? I'm really looking forward to sharing my memories with you!